People’s Daily Online January 18th report: From multiple overseas Chinese media reports, a documentary about the massacre of a large number of ethnic Chinese during the era of former Indonesian president and military strongman Suharto has been nominated for the 86th Academy Awards [“Oscars”]. This documentary titled The Act of Killing [Chinese title translates literally to “I Am A Murdering Devil”] probes deeply into Indonesia‘s “930 Incident” [30 September Movement] where a large number of Chinese were murdered, once more triggering reflection upon this dark period in Indonesian history. The “Thirtieth of September Movement” happened during the Indonesian military coup of 1965. Suharto, then the army’s strategic reserve commander, instigated an anti-communist purge across the country, in which large numbers of communist party members were killed, and many Chinese were executed as communist members. Analysis by academics put the death toll of the 30 September Movement at about 500,000 people, with at least 300,000 ethic Chinese being killed during the 30 September Movement. 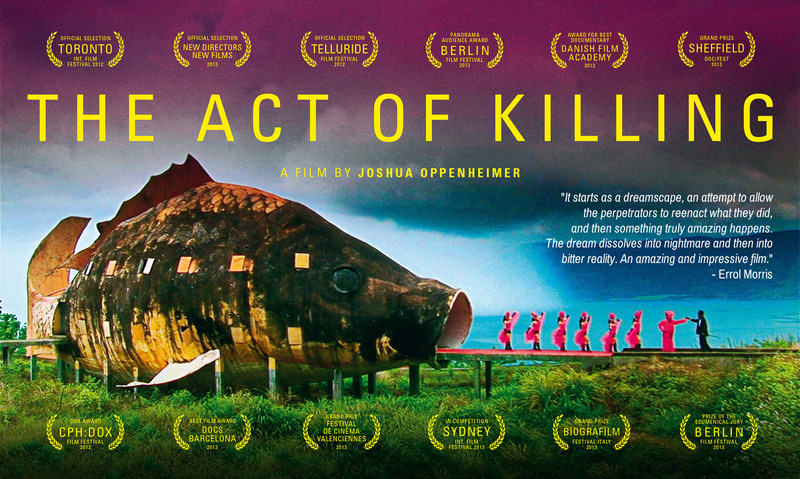 American director Joshua Oppenheimer spent six years visiting and interviewing numerous death squads members about how they killed tens of thousands of ethnic Chinese at the time before finishing the documentary The Act of Killing. This film uses retrospective and the personal testimony of those who participated in the acts of slaughter to lead audiences in revisiting the historical tragedy. Death squad leader Anwar describes in the film his favorite ways of killing people, such as strangling people to death with wire to avoid spilling too much blood, as well as how he had celebrated by singing and dancing after killing people. After Oppenheimer learned that [the film was] nominated for an Oscar, he made a statement saying that out of consideration for their safety, all of his fellow filmmakers would remain anonymous, and hopes that the documentary’s nomination will encourage even more Indonesians to demand that their national leaders take responsibility. Survivor Astaman Hasibuan expressed during an interview with the media that even if the international media pays attention to this documentary, if the Indonesian government is unwilling to acknowledge [the events as human rights violations], the release of the film will make no difference. Indonesian Human Rights Commission member Roichatul Aswidah said during the Suharto administration, there had been a film made praising the “930” mass killings, that generations of Indonesian people have been brainwashed, that The Act of Killing can counter that erroneous thinking, and help them learn from the mistakes. The films nominated for Oscars always involve political messages. Leaving out this film, don’t don’t you think Argo was also like this? Also, without mentioning political incidents, do you think Chinese people in China are friendly towards other Chinese people? Self-deception can be found everywhere, and it is not a problem of national power, but of the collective loss of faith and the decline of people’s identification with our motherland that is the biggest problem. Instead of Chinese making the film ourselves, we let an American do it. Those are just overseas ethnic Chinese, not Chinese citizens, and thus they were already outside China’s scope of protection. During the War of Resistance Against Japan, they [overseas Chinese] did everything they could to donate money, with many people selling all their belongings, then returning to the country to join the war. They are our compatriots. They are Chinese descendants, who should not be excluded over something as small as nationality. Chinese people, unite together, we really shouldn’t sink to becoming slaves of [differentiating on the basis of geography]. Is mutual jealousy and hate that interesting? Let’s be more magnanimous, okay? Those people were still Chinese nationals during Republic of China era [1912-1949], then when the civil war happened, they were still overseas making a living. After the Civil War was over, the People’s Republic of China was founded. The mainland cast its lot with with the Soviet Union, and began continuously exporting communism abroad, with one of the channels being through overseas Chinese, exporting revolution. Later on, the mainland fell out with the Soviet Union. The mainland was very nervous, so it hastily requested an Indonesian-led non-aligned coalition. One of the conditions was noninterference in each others’ internal affairs. On this basis, the mainland abandoned all Chinese who had Chinese nationality in Southeast Asia, including the Chinese previously used to export revolution. What happened afterward was all a consequence of this mutual non-interference (Indonesia had the argument). Think, just how much responsibility is on the mainland? These people were not willing to come back, so what can you do? As long as they were willing to give up their present identity [nationality], the ships were all arranged. In the end, only about 5,000 people were willing to come back and take refuge. On one hand, they had experienced such things so much before, and therefore treated it lightly [didn’t think it would be different from before]. 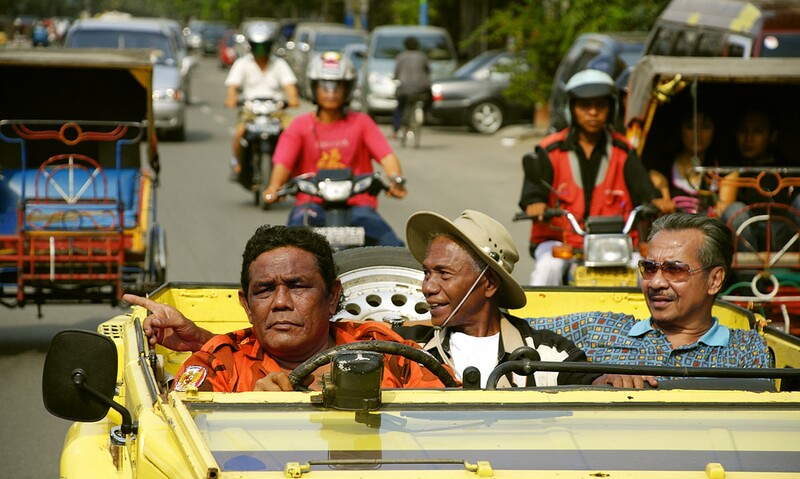 On the other hand, they had long ago came to see themselves as having an Indonesian identity. Come out and take a look for yourself, and see what overseas Chinese say. At the time, before the massacre, our country was already ready to take the ethnic Chinese back to China, and at the same time the United States and Taiwan also promised to save the Chinese fleeing from Indonesia. Ultimately, the promise by the United States and Taiwan ended up being empty words, and only the few taken in by the mainland narrowly escaped the tragedy. When they’re all Chinese descendents, would the country not care about them? So [those that stayed and died] was only because it was their choice. They chose to place their trust in the wrong thing and ultimately hurt themselves. Don’t always say how our country is this or that [negatives], because when you really encounter a crisis, the one you can rely on is still your motherland. The issue of nationality is not important. A patriotic overseas Chinese who can’t speak a single phrase of Chinese is still much more lovable than a Chinese traitor who can speak proper putonghua [Mandarin]! The 1999 massacre of ethnic Chinese was also hair-raising, but very few people domestically knew about it, and why is that? Why aren’t the Chinese people allowed to know this demon (Indonesia)? It’s because the Chinese government does not recognize dual nationality, so in the massacre of ethnic Chinese last time, the Chinese government was unable to do anything more to help. Note from Fauna: This news was also widely discussed on Sina Weibo the past few days, with many of the most-discussed microblog posts including extremely graphic images of beheaded, raped, and mutilated ethnic Chinese victims (click with discretion) from the more recent Indonesian anti-Chinese violence in 1998.